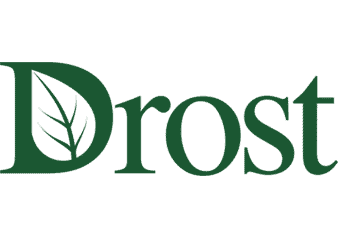 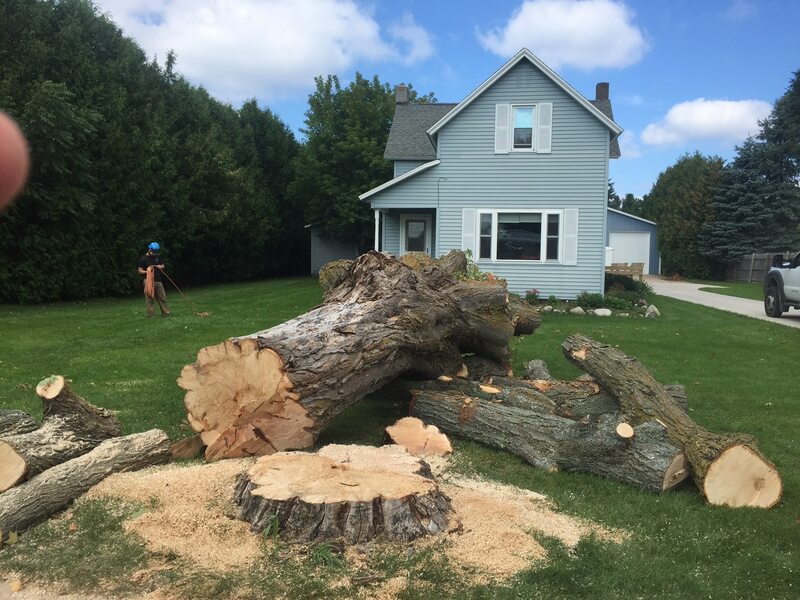 Trees can be a beautiful design element in your landscape, but they are also important to properly maintain as they provide shade, erosion control, wind barriers and wildlife habitat. 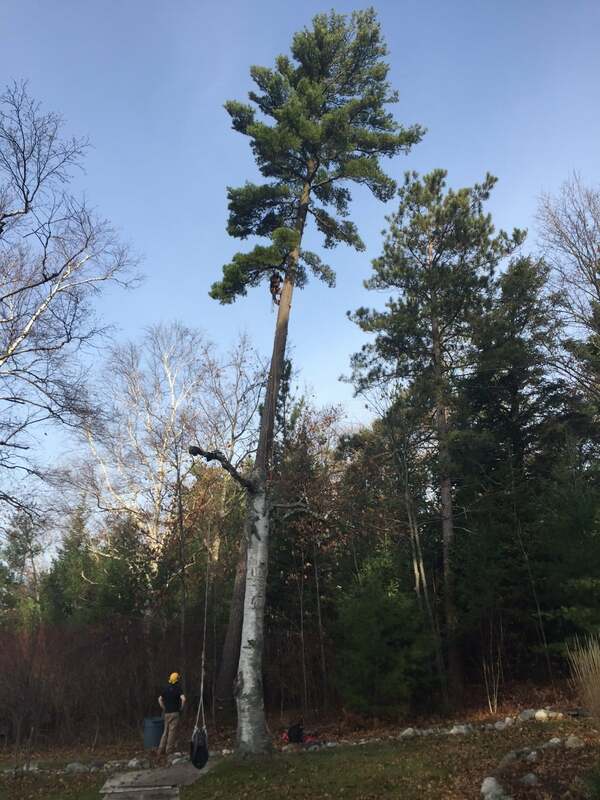 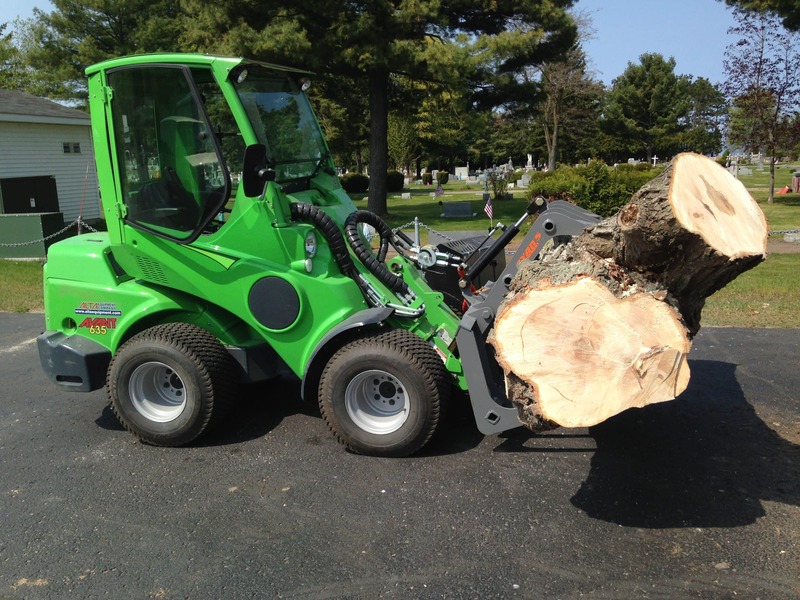 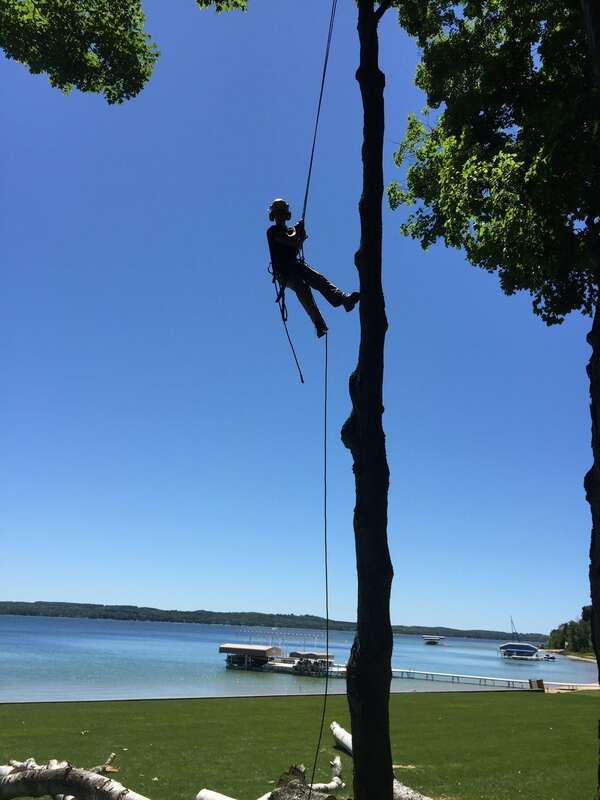 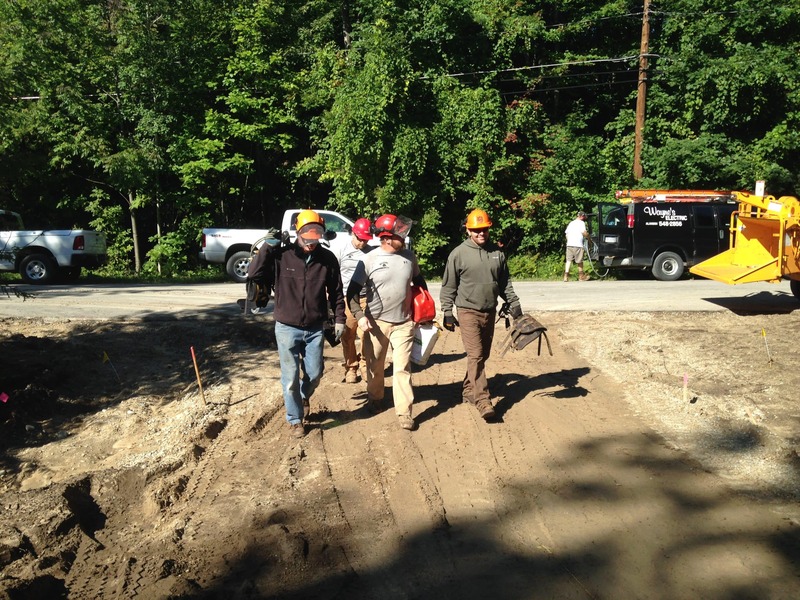 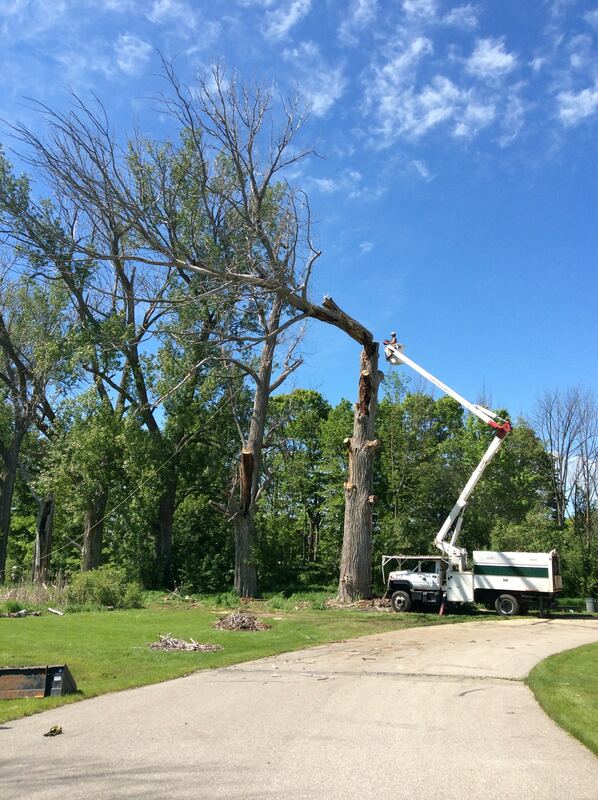 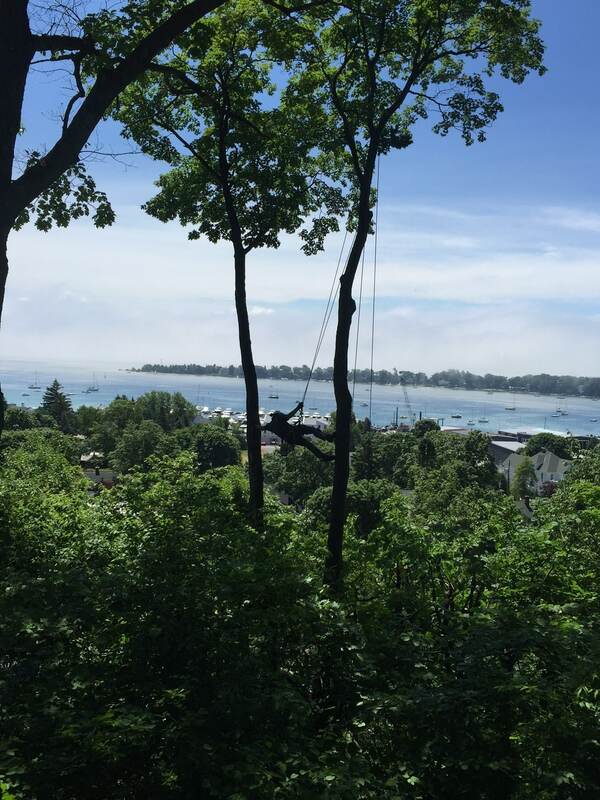 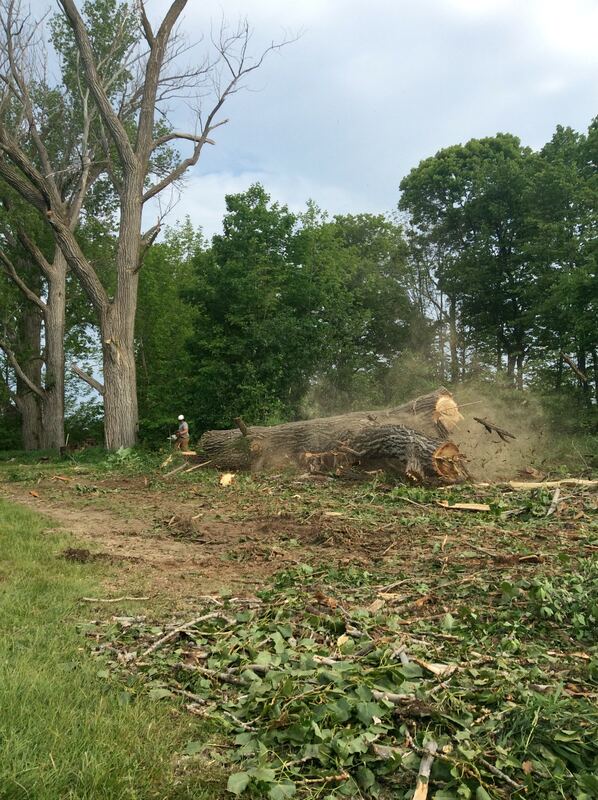 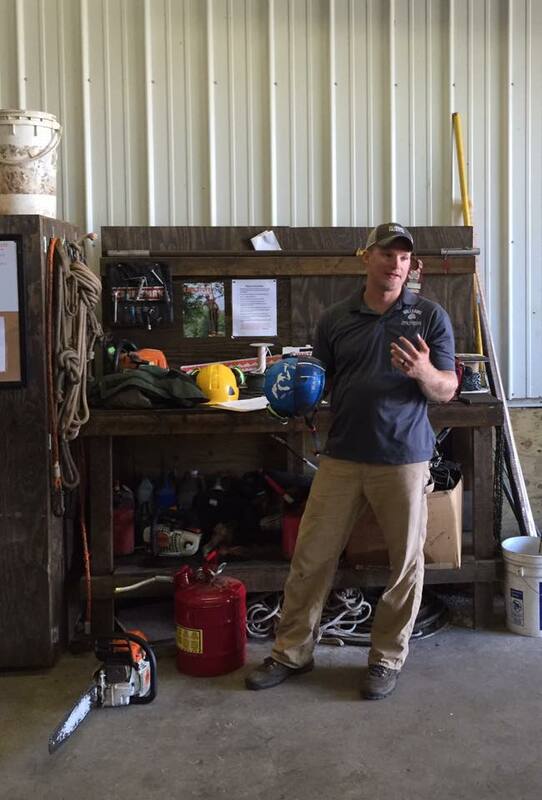 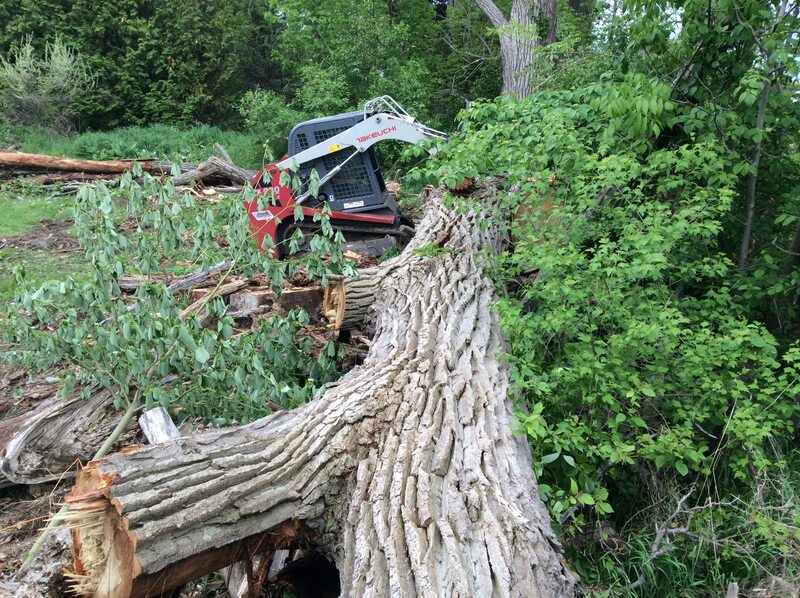 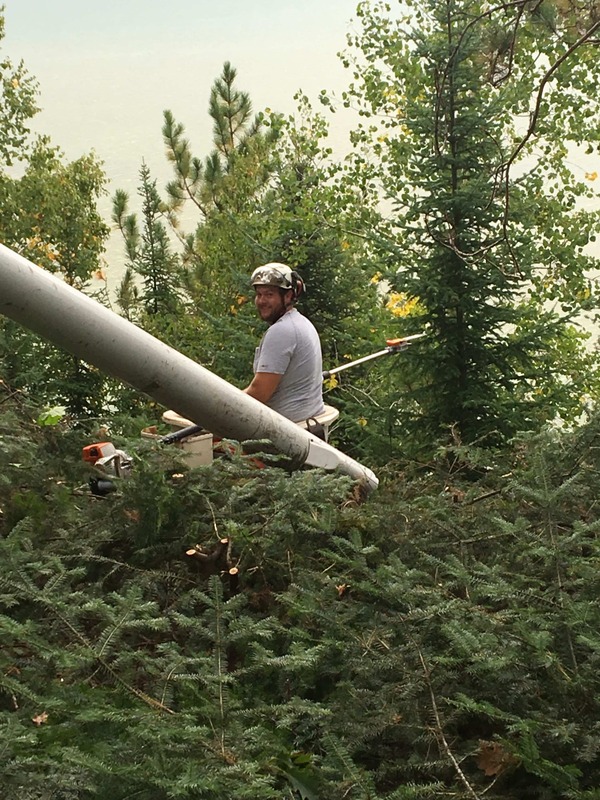 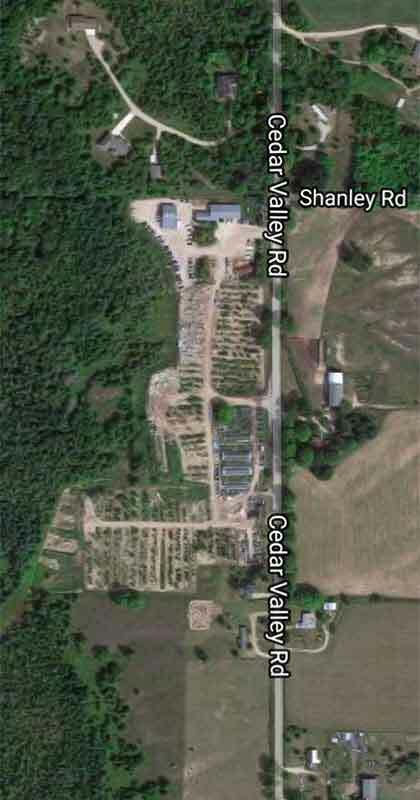 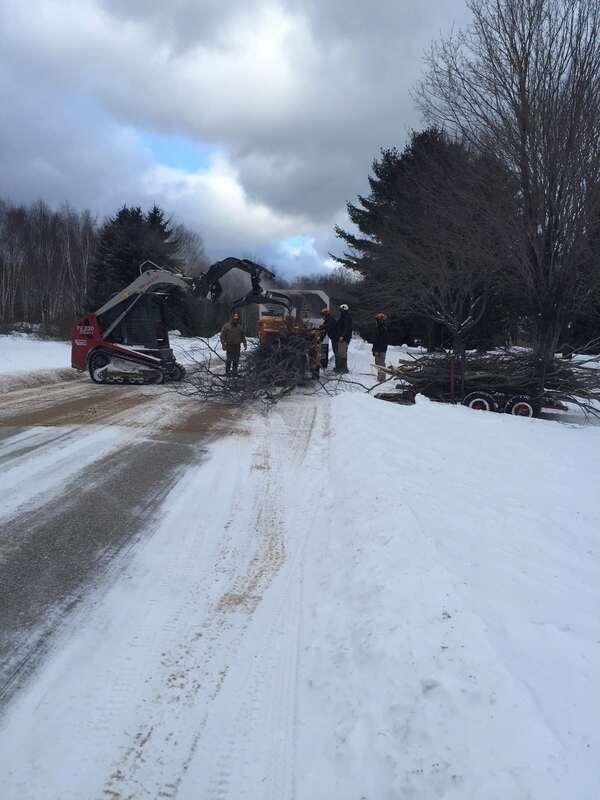 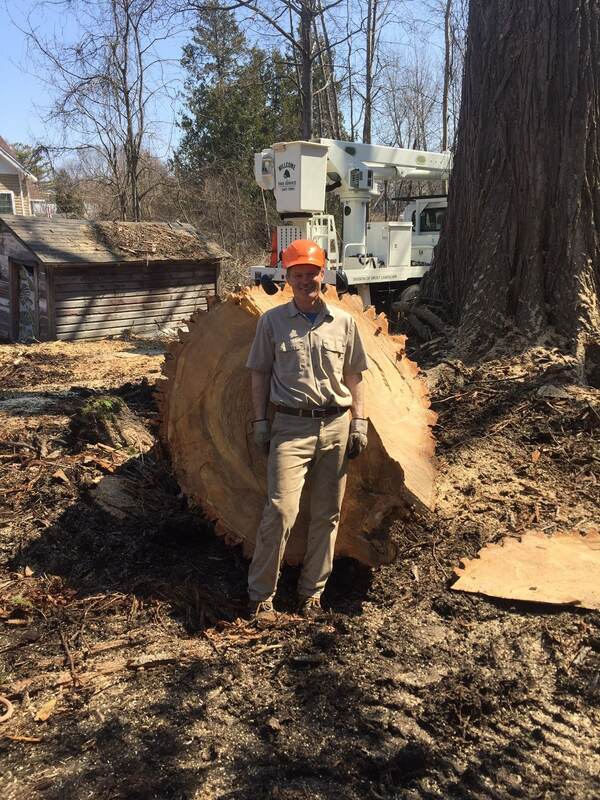 Our tree service team are the leaders in northern Michigan for tree maintenance and removal. 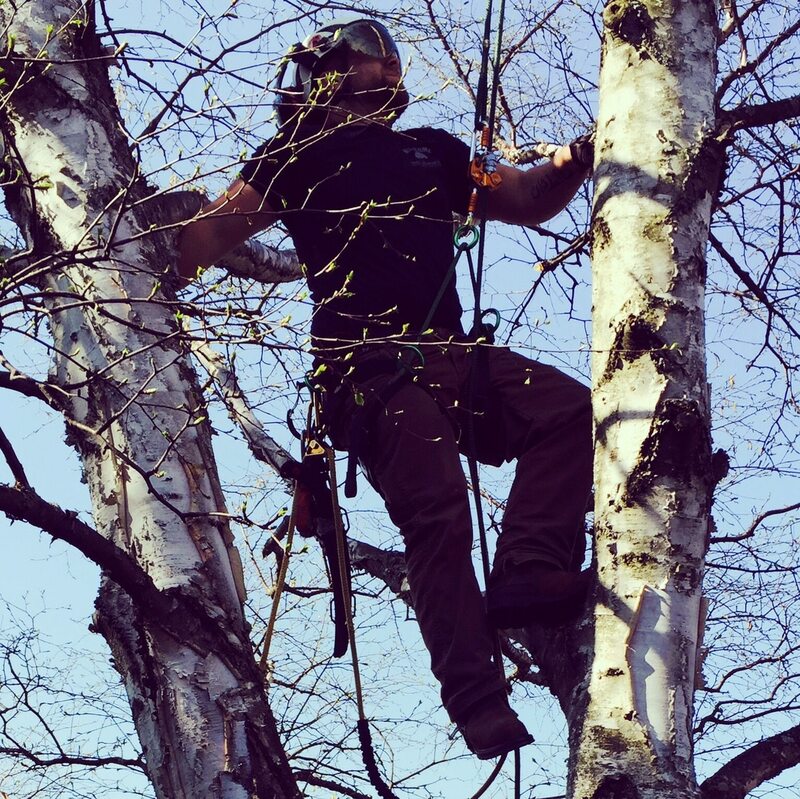 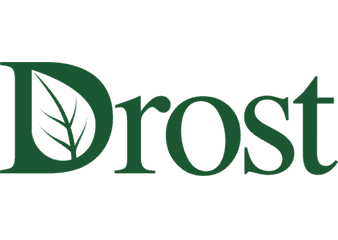 It takes a skilled eye, knowledge and specialized equipment to properly maintain and keep your trees healthy. 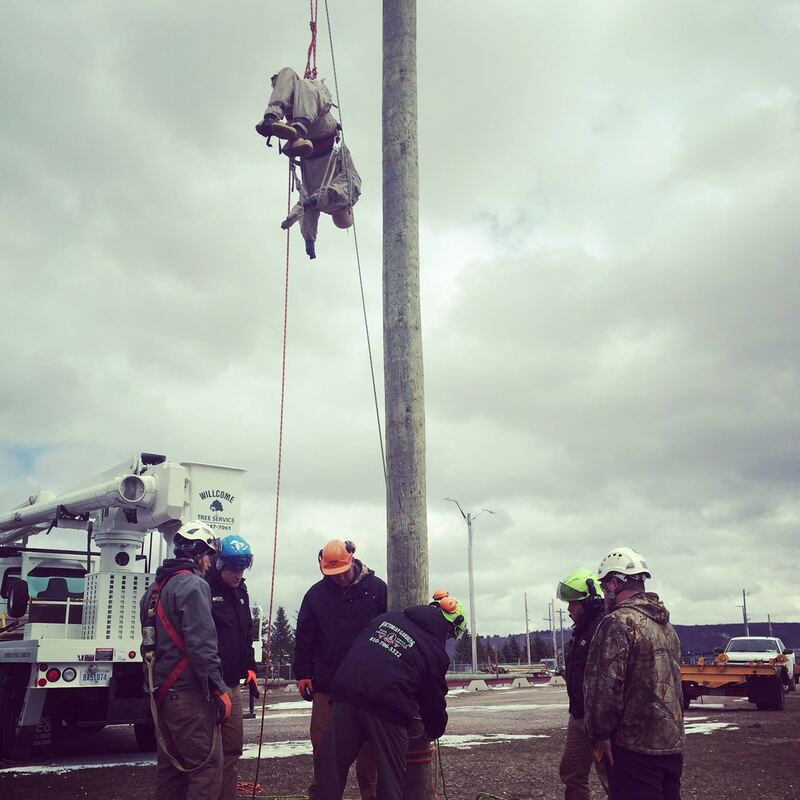 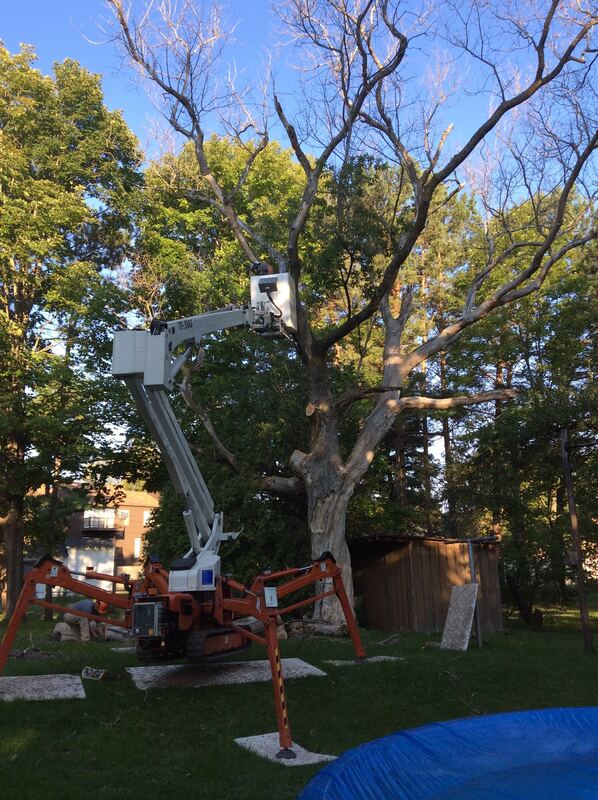 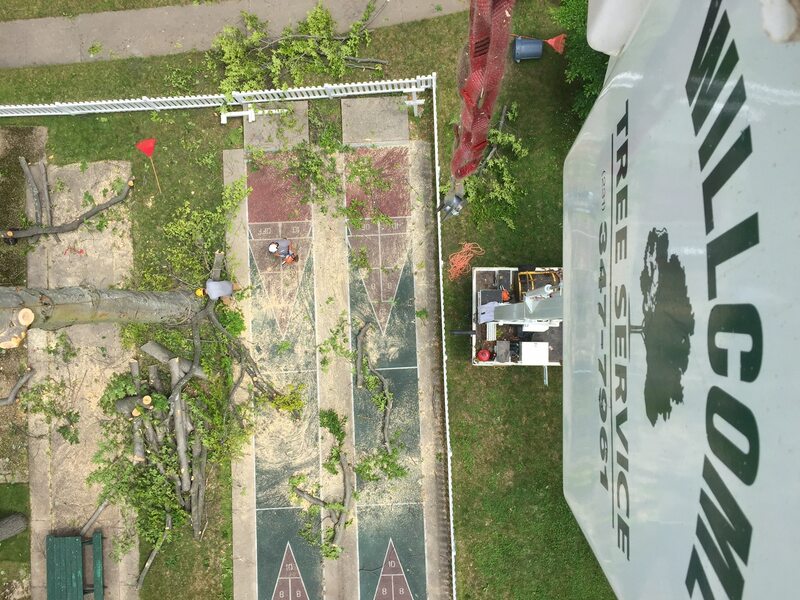 Our Spider Lift allows our crew to trim, shape and remove trees in areas a bucket truck or crane cannot go. 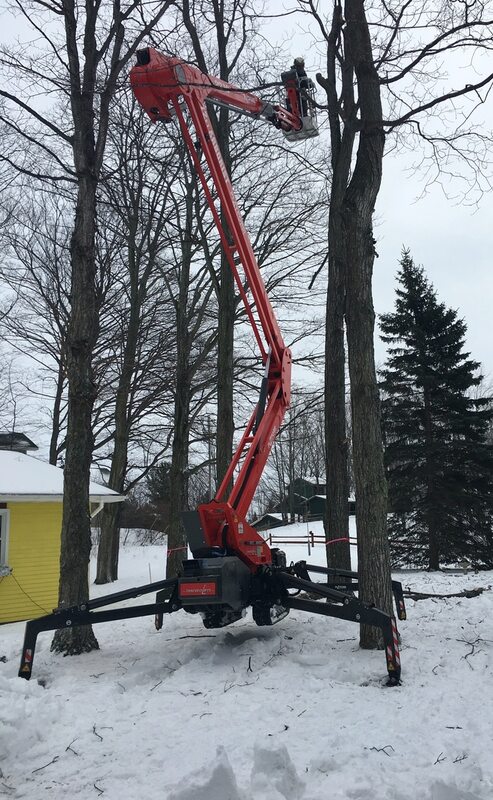 This specialized piece of equipment applies light pressure to the ground, so there is no damage to your lawn or patio. 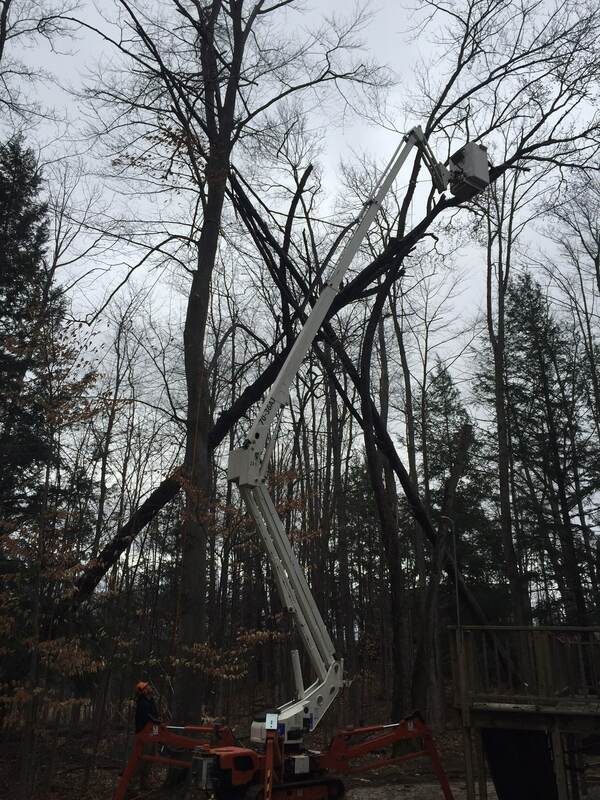 Our tree service team is also trained to handle tree/limb removal in emergency situations such as downed power lines and blocked roads from storm damage. 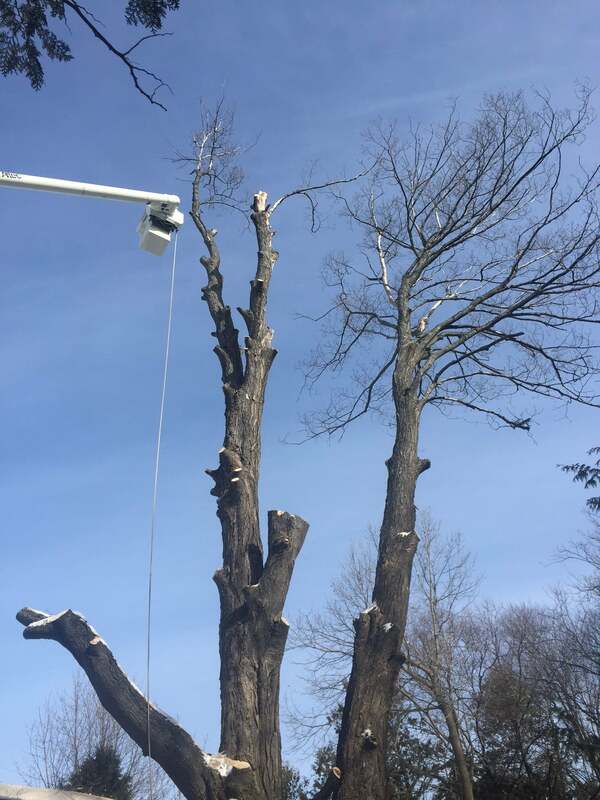 In some cases, a tree that has been damaged may be saved, and our experts can help you decide what to do next. 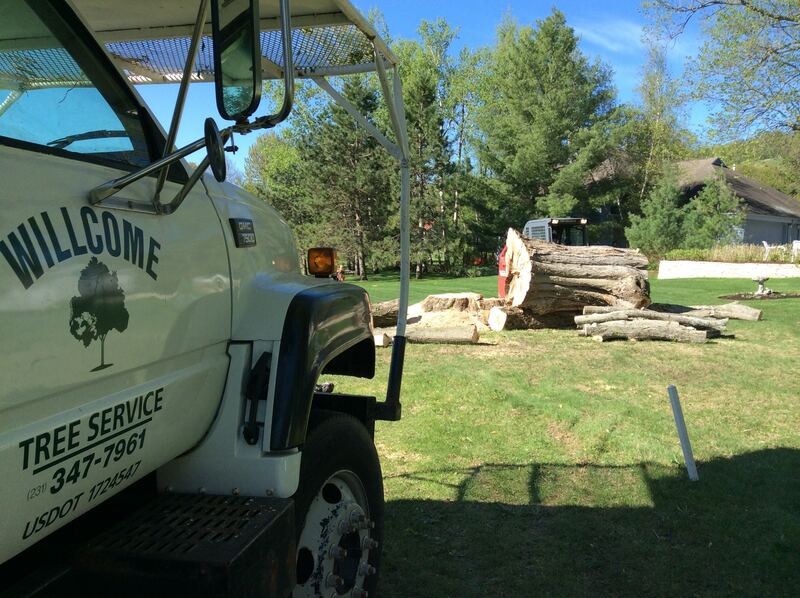 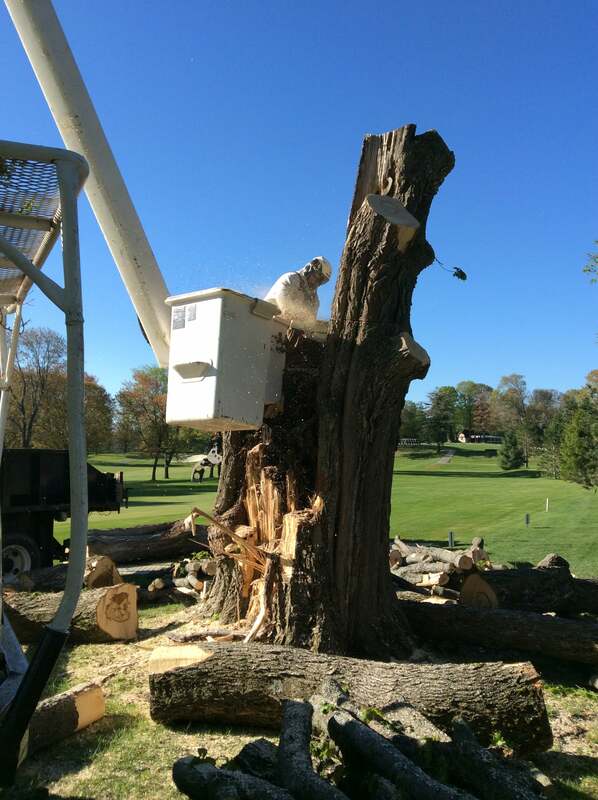 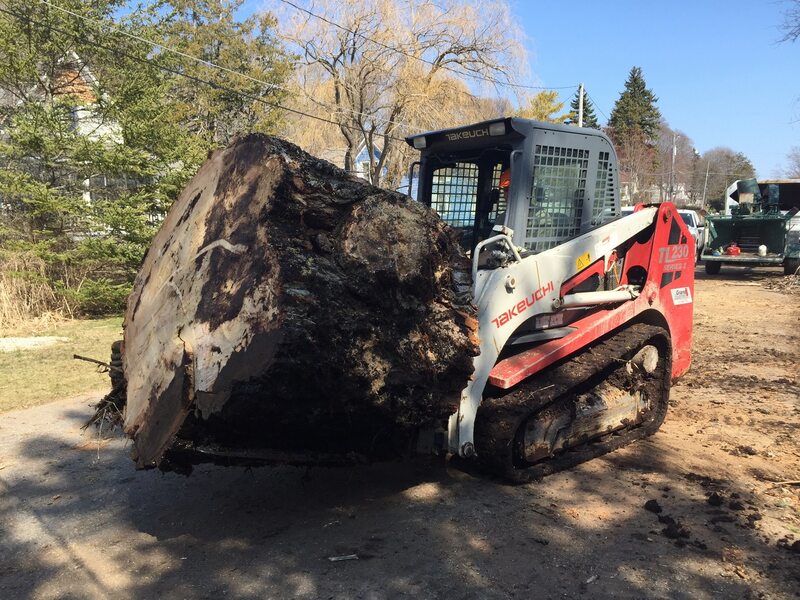 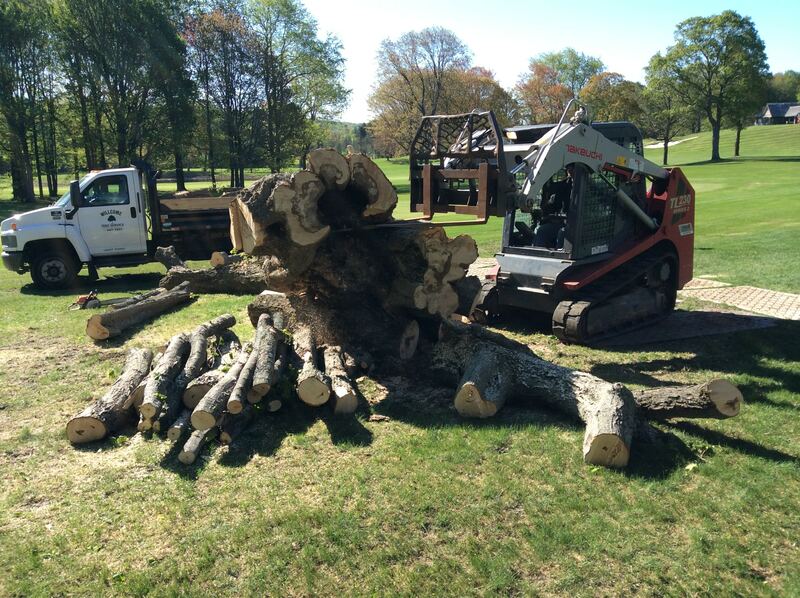 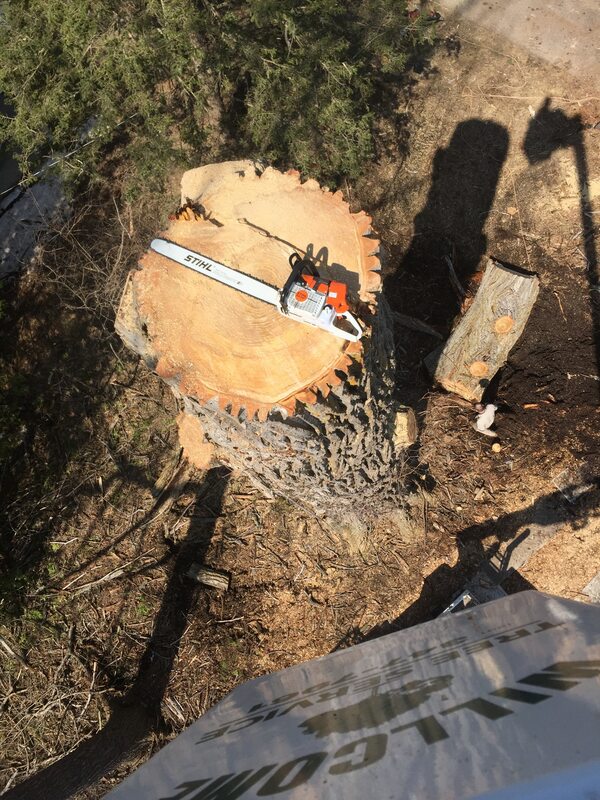 Our entire list of services includes tree removal, stump grinding, tree maintenance, lot clearing, brush chipping, woodland cleanup, emergency services, tree transplanting, lighting, and seasonal décor.